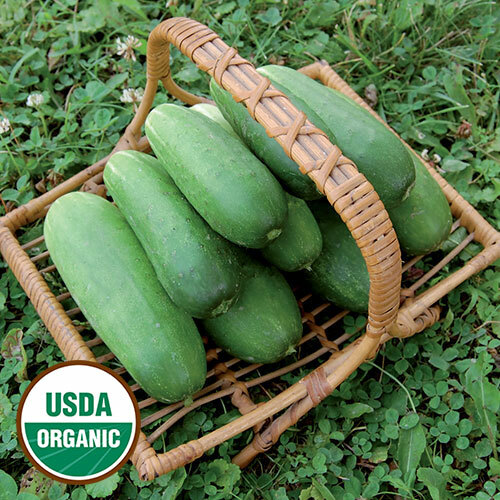 This variety was introduced in 1924 by Joseph Harris Company of Coldwater, New York, with the claim that “the remarkable thing about this new cucumber is its wonderful productiveness. For every pickle that is cut off, two or three more are produced.” Gardeners today love not only its productivity but also its crisp and juicy texture and melon-like taste. 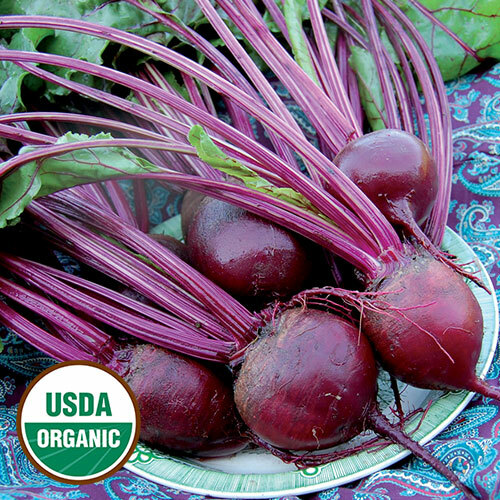 A very early pickling type, this variety bears fruits that are best for canning or fresh eating when 4-5" long. Early- to mid-season maturity. 50-60 days. ±1,100 seeds/oz. Instructions - When growing plants on a trellis, space seed 6-8” apart and thin as necessary; train the plants to climb the trellis with an initial guidance. Alternatively, make 12” hills at least 6’ apart. Plant 6-8 cucumber seeds per hill 1” deep. After germination, thin to 3-4 plants per hill.